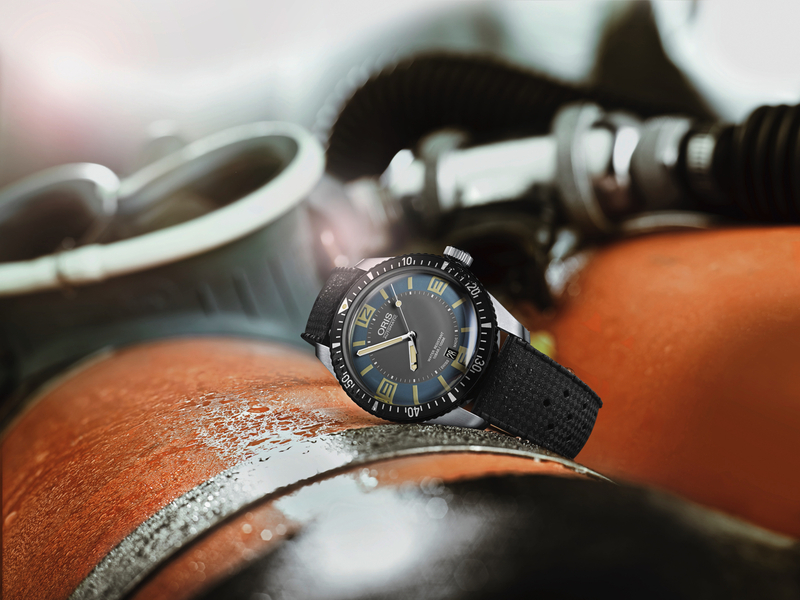 Oris first launched the Diver Sixty-Five, inspired heavily by a model they originally produced in 1965, at Baselworld 2015. The Sixty-Five just started hitting stores in August/September 2015. And already it is selling very well. 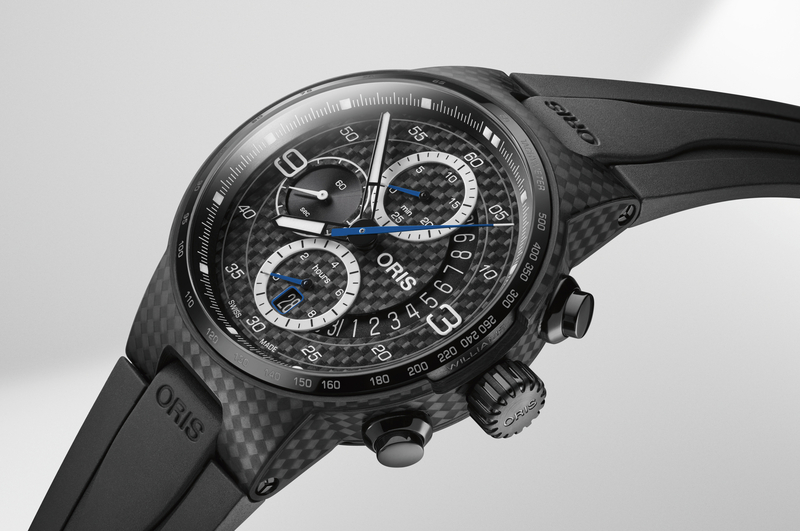 So, Oris has decided to release a second version (Ref. No. 733 7707 4065). 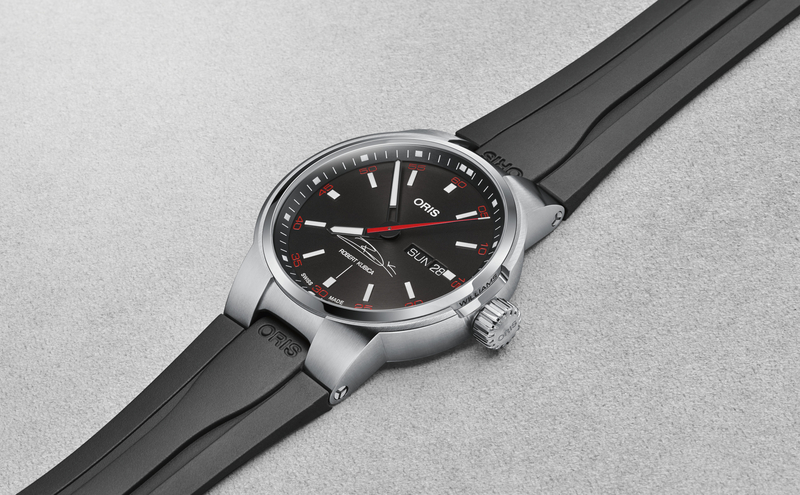 The 40 mm stainless steel case, black aluminum and DLC steel bezel, Sellita SW200 movement – are all the same. With the exception of a new black textile strap option, the only thing that has changed is the dial, which is now available in a two-tone dial colorway consisting of grey in the center and light “Deauville” blue on the outer ring. 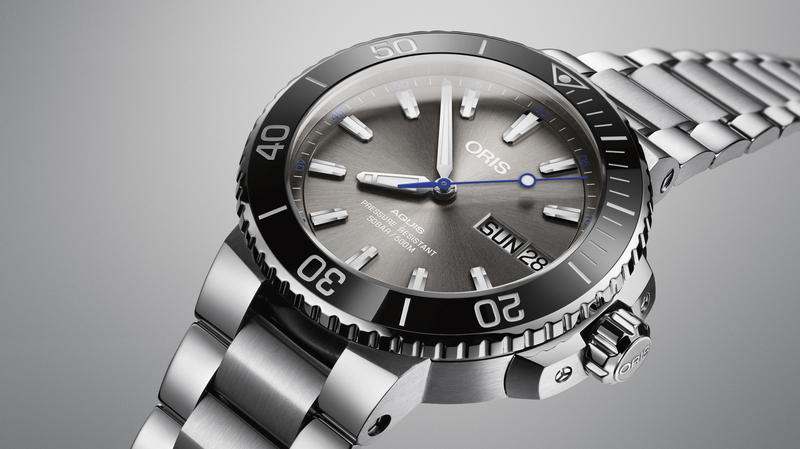 Full REVIEW of the black dial version of the Oris Divers Sixty-Five.